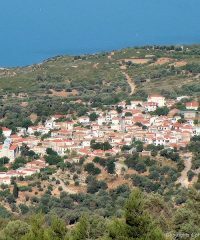 Area of Koumeika village located at the south of the island. Population is 370 inhabitants, 315 at the village and 55 at surrounding areas. it is a pretty long beach with medium and large pebbles and partly sand, mainly at south eastern side. It is the seaport of Koumeika village that’s why has a small mole. In the region there are several accommodations and restaurants. it is a quiet beach, with big and medium pebble. It is not the best beach for swimming but combined with the particular restaurant that is there is a good solution to cool you. 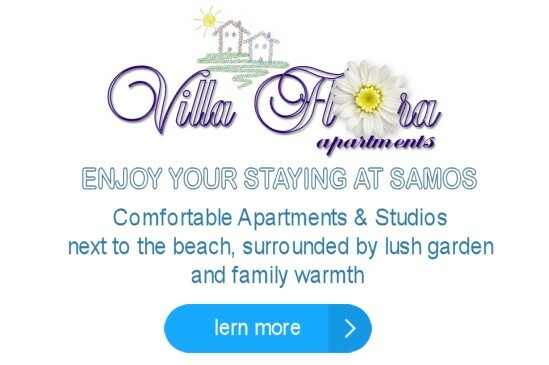 is of the most famous beaches of Samos. The beach protected by the bay that surrounds, is almost always calm sea waters, where it comes from and the name (as a lake). From the seabed gush out freshwater (coming from the mountain Kerkis), which make the sea crystal clear but and colder. 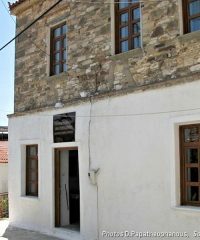 Metochi of Agios Ioannis Eleimonas (Greek Άγιος Ιωάννης Ελεήμονας = Saint John a merciful) was founded in 1867 or 1869 by monk Isidoro Kyriakopoulo from Marathokampo village. They say that no two sunsets are ever the same. Whether it’s the colors, the clouds, or the scenery each one has something unique about it. That’s why one time it’s not enough to visit Drakei, to enjoy of the most beautiful sunset from 300 m high. Metamorfosis Sotiros at Pythagoreion, it has an excellent marble iconostasis and pulpit of early 20 century, is also designated historical listed monument …..